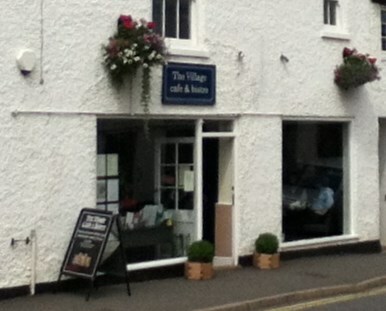 The Village Café and Bistro in Keyworth has been in the news over the last week or so with a ranking in the top ten on Tripadvisor. I am not necessarily a slave to food fashion, but when the article in the Nottingham Post was thrust into my face and I hadn’t been there, well I felt obliged nay compelled to make a special trip over to investigate for myself. It is very comfortable inside and quite welcoming, it was well frequented on a midweek lunchtime, but I was still able to squeeze myself in to the corner from where I could view the calm hustle. There was a fairly interesting specials board that I spent a little bit of time contemplating. It was offering a Warm Chicken and Bacon Salad for £7, Butternut squash risotto balls and salad for £7.95, and a Ribeye steak salad for £8. I wasn’t really tempted as I was not quite in the mood for a salad, so I started to peruse the breakfast or brunch section of the menu instead. I very nearly ordered the Village breakfast, as I saw a few tables participating in mass enjoyment of that dish, which was (or is) a plate of bacon, sausage, mushroom, tomato, beans, hash brown, black pudding, choice of egg, and toast for just £4.50 (what a bargain) . On this day though, it was not to be and I was looking for something a little more stylish. A little bit further down the menu I found what I was looking for and it was the Eggs Royal. 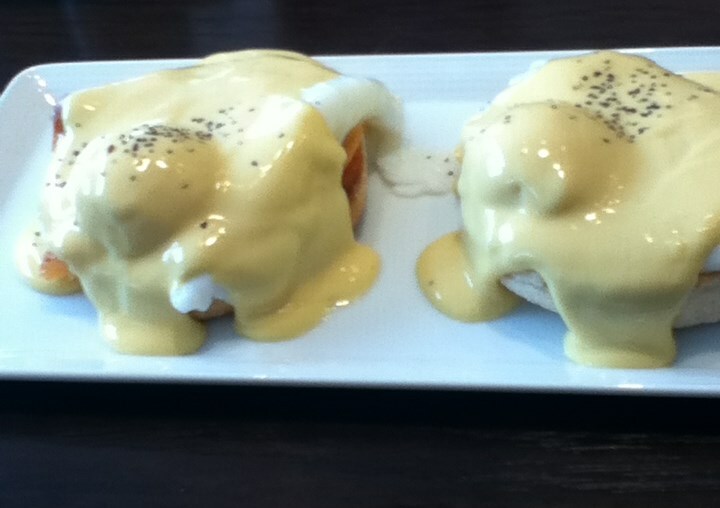 This is essentially Poached eggs and Salmon on a toasted muffin with hollandaise sauce for £4.95. When it arrived it turned out to be two poached eggs and salmon on two toasted muffins. Good value indeed. There were a couple of similar options on the menu, an Eggs Benedict which was the same thing with ham instead of salmon for £4.70, or you could have the Eggs Florentine with Spinach instead of ham or salmon for £4.50. I was happy enough though with my choice. The only thing I might have changed would be having just a little bit less sauce so that I could see the rest of the ingredients on the plate. It all worked together really well and the sauce was so delightfully light and creamy that even when I had run out of salmon, muffin, and egg to mop it up with, I was still spooning it up. 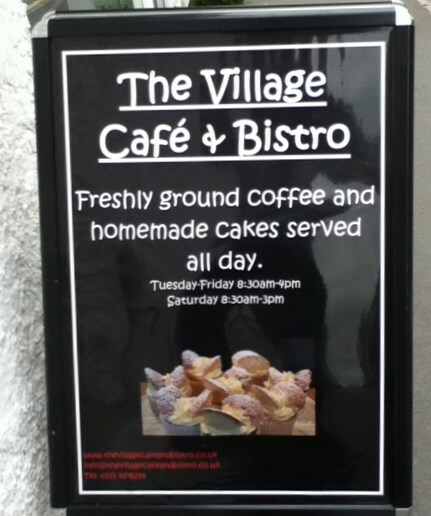 The Village Café and Bistro is located at 4 Main St in Keyworth, Nottingham NG12 5AD within sight of the St Mary Magdalene Church. You can follow them via their website, on facebook and on twitter. It was a jolly pleasant experience and I would heartily recommend a trip over to Keyworth to try it out. If you do not want to drive from the city, then you can catch the regular bus on the Keyworth Connection route.